Are you tired of the look of your kitchen? Then we have a good news for you! 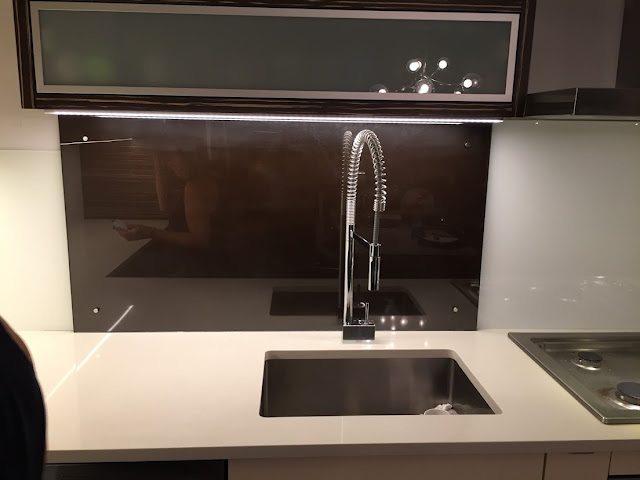 Glass Kitchen Backsplash - a new word in kitchen interior. Our backsplash will be a beautiful addition to any kitchen. A wide range of color palette which we are offering will give you a possibility to choose the color which matches your current kitchen color scheme. Shiny, smooth, with minimal joints - colored glass kitchen backsplash will expand the space of your kitchen and will bring it the function protection. Whether the style of your kitchen is: classic or bold, neutral or loud, a glass backsplash endless options for texture, design, and size will make it unique and elegant. Our Glass Company offers different glass backsplashes variations to your taste.